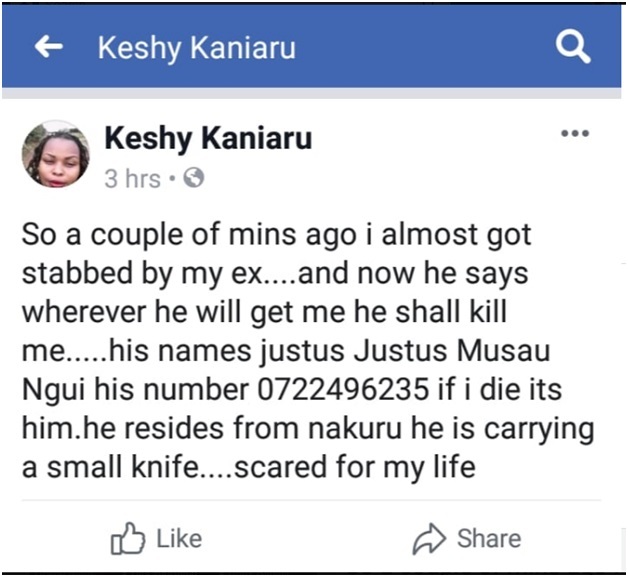 Monday, April 15, 2019 - This Kikuyu lady identified as Keshy Kaniaru fears for her life after her ex-boyfriend almost stabbed her to death. According to Keshy, her ex-lover identified as Justus Musau of phone no 0722 496 235 has been sending her constant death threats. He has vowed that he must end her life. DCI should arrest this murderer and save the precious life of this lady.